Innovation has no way to go but up and the evolution of smartphones proves that. Smartphones of 2017 have bested their predecessors in terms of functionality, innovation, and style. Furthermore, there are no stopping top manufacturers from exceeding competition and previous creations. This is not really a surprise given that the iPhone series has always made it into anyone’s top smartphone list yearly. The iPhone 8 and its Plus is a small scale step up from previous iPhones. The new FaceID Scanning boosts image capturing capabilities and security for the smartphone. But don’t get too attached to this one because you can expect Apple launching another iPhone next year like they always do. Google Pixel 2 may not show much difference from its previous version on looks but its software’s backbone tells a different story. This one boasts a superb camera that could capture high-resolution images and memories worth keeping. The dual camera and slick physical design spell out style and functionality all over. You can expect its future versions to consistently be on top of the smartphone lists. This one consistently earned top reviews and recommendations. Samsung continues to impress fans that it is serious about keeping its products on the top spots in the smartphone industry. This model features a fingerprint scanner for extra security. However, it’s major strengths lies in its ability to be customizable for user preferences and ease of use. It just had to be on this list. Beyond the brand’s name lies the high level of functionality you can expect from other iPhones and this one is the latest and most expensive to opt for. Not as popular as the other smartphones on this list but certainly not the least when it comes to software functionality like any other smartphone in the market. A good option if you want a noise cancellation feature in the ear or headphones. Slightly wider screen and resolution adjustment from previous versions. This phone delivers the essential features you would expect from a smartphone. Not as well known compared to bigger brands like Samsung or Apple, but it serves its purpose. 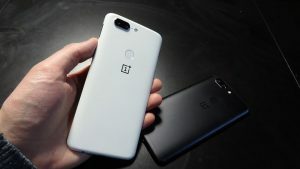 OnePlus 5T OnePlus 5T relatively less expensive smartphone compared to its popular competition. This phone provides the essential features and extra software bonuses without the high price tag of other flagship smartphones. Best known as the “Flagship Killer”. The Sony Xperia XZ1 may not yet be as prominent s the top competition but it’s definitely on its way. This smartphone model features high-resolution screen displays, able to support multiple apps, and less pricey compared to the big brands in the smartphone business. A smartphone model new to the market and still has a long way to go for visibility. However, its utility features can rival even the most established brands in the business. It does not lack the basic features that could keep with the smartphone trend. Expect new models in 2018 to exceed their predecessors just as 2017 has bested their last year’s models. 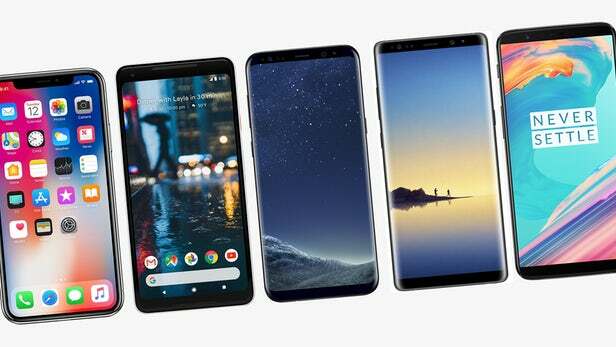 What’s important is choosing a phone that you are most comfortable with and giving into the model’s reasonable utility than what the trend dictates.